Polished concrete firepits and river birch will decorate the rooftop. 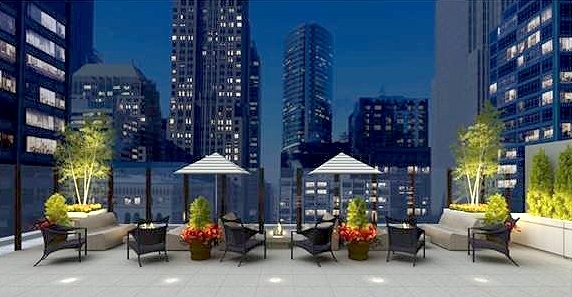 We’ve got a look at renderings for the 7,000-square-foot rooftop lounge topping a new Hyatt hotel under construction at Monroe and Clark streets. Hyatt the Loop Chicago is slated to open in the spring. 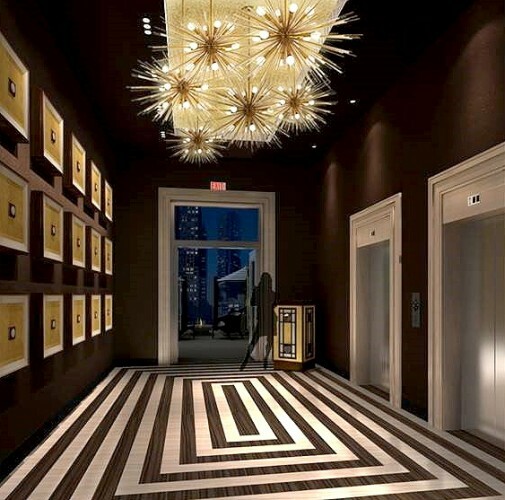 The design is a combination of contemporary furnishings with art deco architectural details. 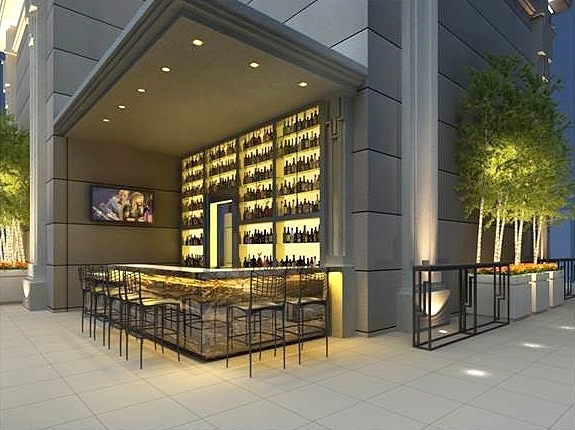 John Robert Wiltgen Design, which is designing the space, shared renderings of the rooftop, which will feature a bar and light food service. “I was inspired by the original art deco parapet and wanted to pay homage to it in the new design,” John Wiltgen said. The original parapet was removed from the 22-story office building some 40 years ago, when the art deco influence was perceived as holding it back, he said. 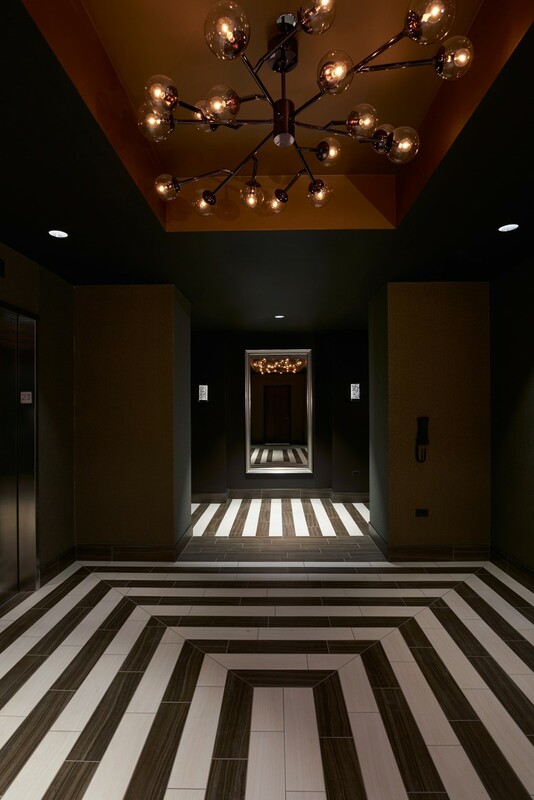 On the main floor, acclaimed Chicago chef Roland Liccioni and WellDone Hospitality Inc., part of Chicago-based OrganicLife LLC, are teaming up on a brasserie to be called Cochon Volantin the 257-room luxury hotel. A back-lit panel will illuminate shelves behind the bar. 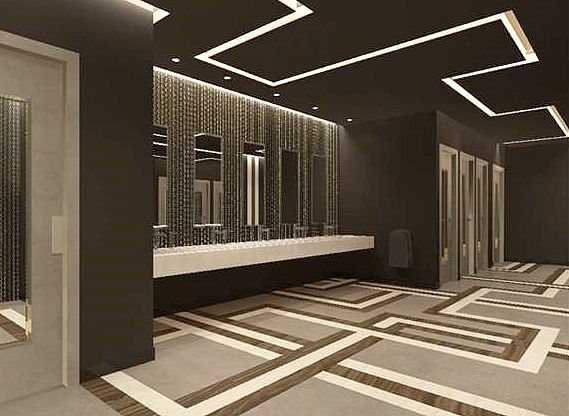 The lobby will include radiant chandeliers and a porcelain floor. The women’s restroom, with a trough-like sink embedded in concrete counters.